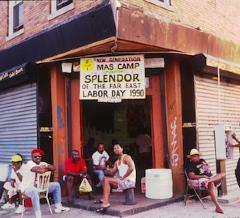 The West Indian Carnival is a Labor Day weekend tradition. With its roots in 1920's Harlem, the Carnival is an annual Carribbean cultural celebration. Slides contain images of events and people from 1990.